This web site on Kamikaze Images discusses the principal ways by which people form opinions and images about kamikaze, including from books, films, museums, Internet, and letters. This section covers a few other forms by which Japanese people develop images about kamikaze. Chiran served as the major Japanese Army sortie base for kamikaze pilots during the Battle of Okinawa. Today, Chiran still remembers the deaths of these young pilots by sponsoring a speech contest to promote the importance of life and peace. More than half of the speeches mention kamikaze pilots or other aspects of World War II. Many speeches make reference to the wartime experiences of a speaker's family or relatives. A yellow flower known as tokkōbana (kamikaze flower) grows wild in Kagoshima Prefecture, the location of many former kamikaze sortie bases. 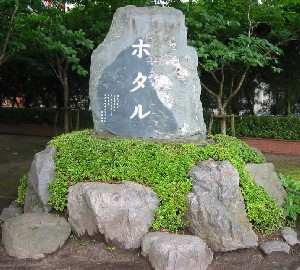 Even though cherry blossoms symbolized kamikaze pilots during the war, a 1998 television movie popularized the tale that kamikaze pilots are the source of the huge field of tokkōbana at the foot of Mount Kaimon, the southernmost mountain of mainland Japan, because of the yellow flowers they threw out of their planes on the way to Okinawa. Several Japanese songs have been written about kamikaze pilots and kaiten pilots. The Tokkōtai Commemoration Peace Memorial Association published in 1999 eight picture postcards that portray different types of Japanese special attacks during the Pacific War.